​Jack Colback could be allowed to make a permanent move to Nottingham Forest at the end of the season with the midfielder unlikely to be given another chance at Newcastle. Colback has been on loan at the City Ground for the past two seasons and despite impressive performances in the Championship, it appears the midfielder could be offloaded from his parent club in the summer. The 29 year-old has made 33 appearances for Forest this season, scoring three league goals along the way. His performances may have the ​Newcastle faithful questioning if Colback should be given another opportunity with the club in the ​Premier League. As reported by the Chronicle (via ​HITC), Newcastle are willing to allow Colback to complete a permanent move to ​Nottingham Forest regardless of whether Rafa Benitez stays at the club. Colback swapped Wearside for Tyneside when he signed for Newcastle from arch rivals Sunderland back in 2014. The Englishman has played over 100 games for the Magpies and became a prominent figure in their midfield during his first season. Following Newcastle’s promotion to the ​Premier League in 2017, Colback was sent on loan to ​Championship side Nottingham Forest. Two years later and Colback has been pulling out excellent performances for Martin O’Neill’s side, who are currently three points off the play-off positions. 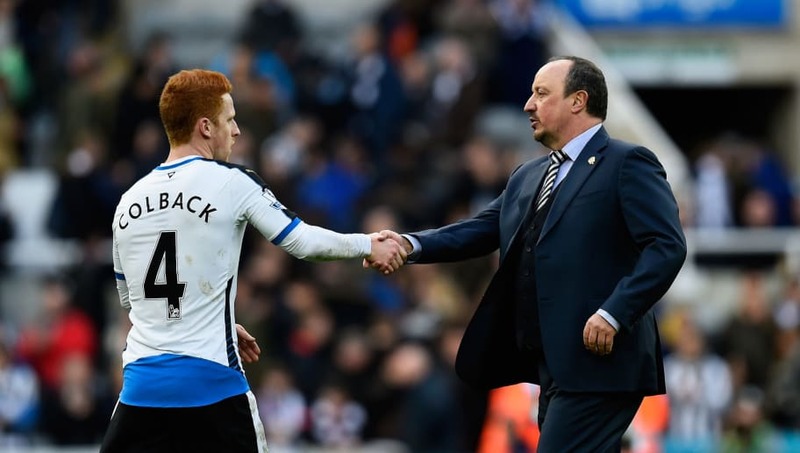 Colback does have another year remaining on his contract at St James' Park but it is becoming increasingly likely that he wont be a Newcastle player come next season.